Consider this: It probably won’t matter whether you upgrade to Windows Mobile 6.5 or you don’t, so save some money and do the latter – or at least that’s what some top mobile experts are saying. 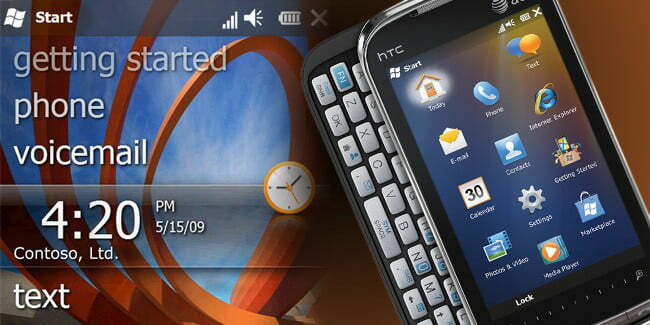 Other tech experts are urging consumers to remember that if you’re looking for a low cost smartphone with an updated operating system (OS), then maybe you should try a new Windows Mobile 6.5 phone instead. But is it just a case of mixed messages? Only time will tell for sure, but for now, across the board, inside opinions are torn as to the actual value of Microsoft’s latest platform for mobile handsets. Even before its October 6th release, reviewers have been duking it out online over Microsoft’s new mobile OS. Critics say it’s just a “placeholder” until Windows Mobile 7 is launched and isn’t worth a glance, while supporters of the new mobile OS argue that it has valuable features and shouldn’t be discredited. Making matters more confusing still, most industry experts claim that it’s hard to judge Windows Mobile handsets because the experience varies from phone to phone. Generally, experts agree that the large range of supported devices from partners like HTC, Samsung, and LG provide an advantage over Apple’s solitary iPhone. 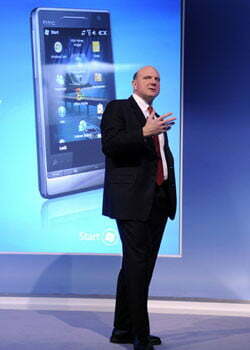 But even pundits supporting Windows Mobile 6.5 agree that the new mobile OS is no revolution. According to Segan, that 0.4 boost takes the operating system’s v6.1 base, slaps on new user-friendly screens, and does a quick revamp of overall usability, making it more consumer-focused. Still, giving future consumers fair warning of this new OS, Segan also claims that Microsoft does not deal with “the big picture” and states that 6.5 could be seen as merely “a cosmetic overhaul.” Moreover, he says that even though Windows Mobile 6.5 doesn’t fix the mobile OS’ deeper issues, he does feel that Microsoft is on the right track and has high hopes for Windows Mobile 7. In a less hopeful note, Frost & Sullivan industry analyst Todd Day says he sees Microsoft’s mobile market declining. “The biggest problem I see is Microsoft’s licensing fee for the operating system,” Day says. “Windows Mobile 6.5 hasn’t provided any real value that is worth [cellular handset manufacturers] providing that licensing fee for.” Day believes that paying $10 per phone or per device adds up to too much for the few changes made on the 6.5 upgrade. Similarly, he thinks Microsoft lacks where Apple and Google shine, specifically in application development, with Windows apps having basic problems in speed and functionality. “The iPhone is still top of the line in terms of customer approval ratings and Google apps will work on any phone—6.5 is not doing much for Microsoft,” Day admits. Then again, as with Segan, he does see a silver lining in the distance for the computing giant, and thinks Microsoft will always dominate the PC market, which will inevitably help with the firm’s mobile sales. “When you start looking at the trends increasing in smartphones—mobile content, media, embedded Wi-Fi—these devices are starting to act more like computers, and I think Microsoft will be able to keep pace on the path of improvement with Windows Mobile 7,” Day says. The one common consensus among mobile authorities being as follows: PC users should appreciate Windows Mobile 6.5, even though it has acquired a tag as a “placeholder” until its 7th version, because it shows that Microsoft is still in fighting shape. Whether or not the operating system is ultimately strong enough to help Redmond’s finest wrestle back a significant share of the market from Apple, well… that’s yet to be determined.